Have you ever REALLY wanted an empanada? and you think about it all day and you just can’t get an empanada? 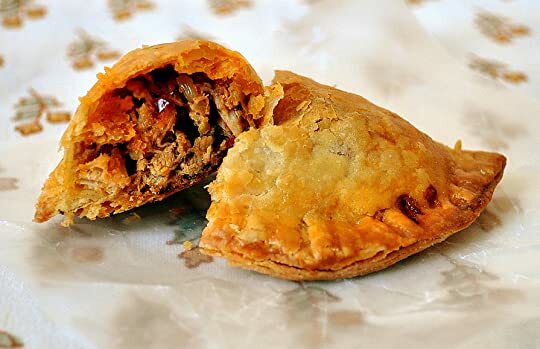 and its almost like you can smell it and you’re cranky all day UNTIL you FINALLY get an empanada and you take the smell into your greedy nostrils and take a yummy savory bite! and the beautiful golden flakes sprinkle all over your shirt and your hair and you dont care because you’ve been waiting all day to eat your empanada and you’re finally feeling its goodness on your tongue? Thats EXACTLY what reading this book was like. This was like a delicious hot, crispy, flaky, meaty empanadilla and I have no regrets that I ate this whole. go read this you wont be hungry anymore. This entry was posted in Uncategorized and tagged favorites, historical romance, I will never forget you, sexyAF. Bookmark the permalink.